I really liked the grapefruit mint juice I made a couple months ago. 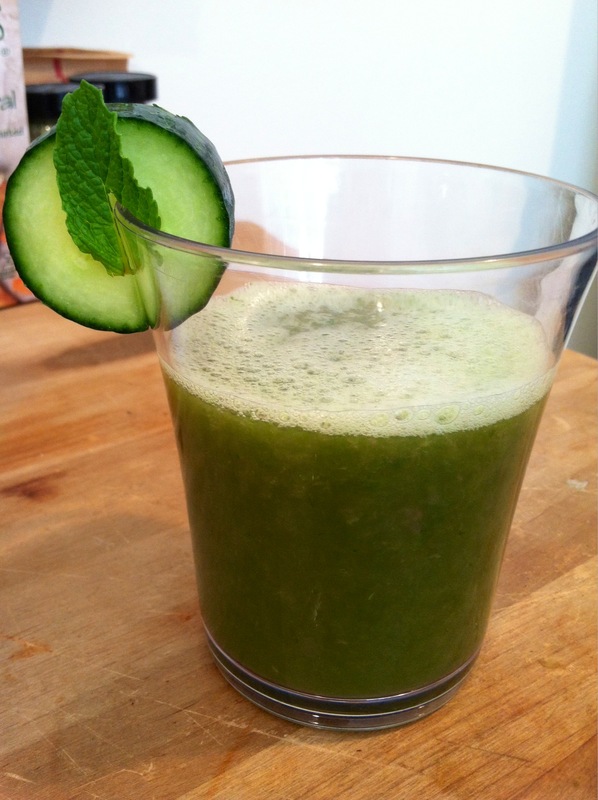 Today, I decided to try making a similar juice, a grapefruit cucumber mint juice. This new juice is refreshing and delicious. It is less tart than the original grapefruit mint juice I made because of the cucumber, which helps give this grapefruit cucumber mint juice a more subtle flavor. This low calorie juice is packed with potassium, vitamins and minerals. Additionally, it’s a great juice to start your day or it can be a wonderful afternoon pick me up to give you the energy you need to get through the rest of the day! Start by thoroughly washing and drying your grapefruit, cucumber and mint leaves. If your cucumber is not organic, then I highly recommend taking the outer peel off because that is where most of the pesticides or other harmful chemicals would most likely be. For the grapefruit, I cut off the outer rind leaving on as much of the white part on as possible. Now you are all set to start juicing. I put the mint leaves in my juicer first and followed that with the grapefruit and then the cucumber to make sure all of the mint leaves were processed. Then simply pour into a glass and enjoy immediately! If you would like to enjoy your grapefruit cucumber mint juice later, store it in an airtight container and it will last up to three days! 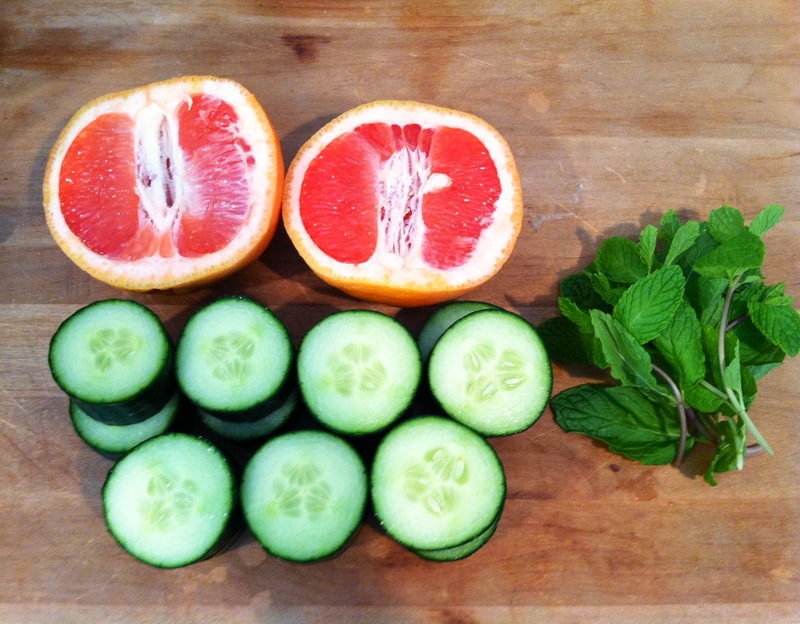 One serving of this grapefruit cucumber mint juice will provide you with 112 calories. It will also give you over 700 milligrams of potassium and 3 grams of protein. In terms of vitamins, this juice will provide you with good amounts of four different ones. This includes 4% of your daily vitamin E, 11% of your daily vitamin B-6, 25% of your daily vitamin A and over 150% of your daily vitamin C.
This grapefruit cucumber mint juice will also provide you with many minerals. Some of those include, but are not limited to: 5% of your daily iron, 8% of your daily calcium, 10% of your daily copper and 15% of your daily folate.